My name is Reuben Friesen and I am a student teacher from Nanaimo, British Columbia, Canada. I am currently completing my final practicum of my Bachelor of Education. 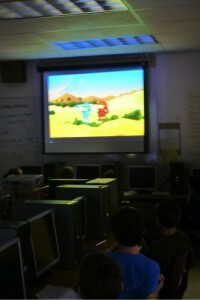 I used GoAnimate for Schools with my grade 5 practicum class at Rutherford Elementary in Nanaimo, BC. Let me first of all say that I loved it! More importantly the students loved it! It was easy to use, easy to teach the students to use, and they couldn’t get enough of it! 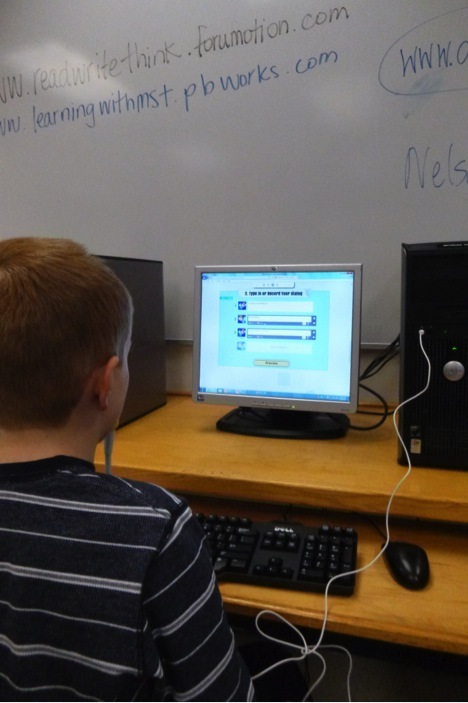 The Nanaimo School District is always looking for new ways to incorporate technology into classrooms and GoAnimate for Schools served this purpose well. Our students begin learning French in grade 5, which can be a challenge to get students interested in. I introduced GoAnimate for Schools at the start of a French unit I created on basic conversation. It was used as a culminating activity that the students worked towards throughout this unit. They were excited to learn the vocabulary and do the accompanying activities because they knew that they would be able to create their own animations in the coming weeks. Before getting to the recording of French I gave my students a 15 minute basic introduction on how to create an animation with this software. Then I gave them time to play with it and to create an original animation on a topic of their choice. The creativity and enjoyment that I witnessed from the students was truly inspiring. Students of all ability levels were quickly creating animations and sharing them with their peers. Once my students realized that they could view their classmates’ animations, as well as comment on them, an instant online discussion was created. 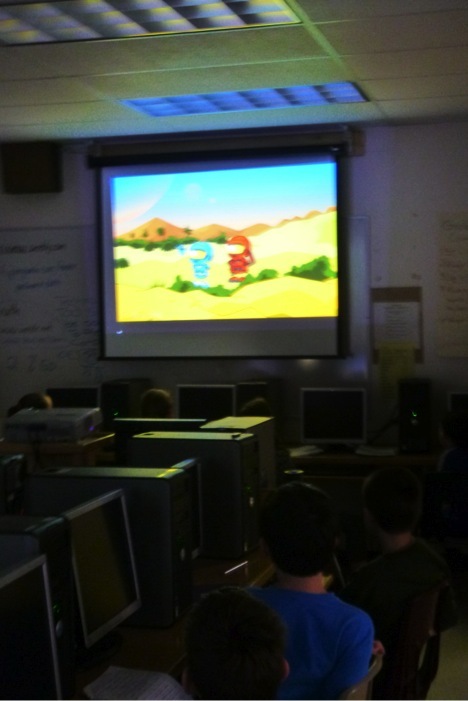 During the next computer class, students used their knowledge of basic conversational French to create an animation between two characters. The students needed minimal support using the software because they were exploring something that they all had a sincere interest in. We finished with a presentation day that involved every student sharing the animation they had created. This gave me the opportunity to assess my students’ abilities in a unique way. During the presentations students were very positive and showered each other with positive feedback. I could see that they were all very proud of what they had created and were excited to share it with their classmates and families at home. Using GoAnimate for Schools was a very positive experience for my students and myself and I would not hesitate to use it again.When I begin teaching in my own classroom I am excited to use GoAnimate for Schools as a regular part of my classroom instruction in as many subjects as possible.